The fun time of the betting season has finally arrived and every better from San Diego to Brooklyn is dusting of the gloves and jumping in the ring for another 12 full rounds of the NFL and NCAA College Football betting action. If you like football and you are passionate about winning money, then this is the best time of year without a doubt. No matter what you prefer, NCAA or the NFL, there will never be a shortage of action. 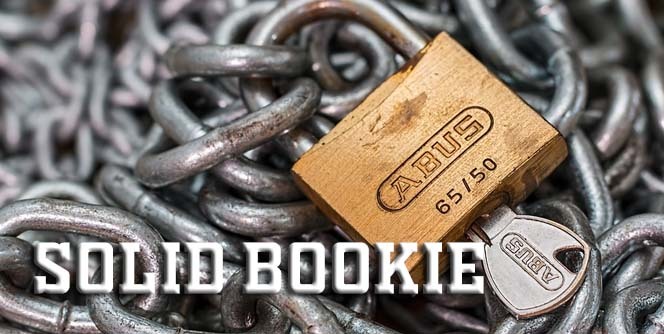 No matter what your betting frequency, whether it’s a game a week, ten games a week or a couple of games per month, there is a sports bookie out there to meet your gaming needs. Lines and odds are an important factor to consider when choosing a great online sportsbook. You always want to position yourself with the best odds for the money. Betting is like anything else that you spend money on; you want the best deal and the highest quality product, at the best price possible. This is exactly why any serious better must have more than one bookie in their back pocket. You must have a handful so that come Saturday and Sunday mornings, you can shop around and get the better deal. Budgeting: the most important word in your gambling vocabulary should be budgeting. If you fail to set a rigid budget and follow it, you are dead in the water. Don’t even think of going into this season without a money plan. You know how much you can spend and the choice of how much to budget is up to you, but you must have one and you must be faithful to it. Have a budgeting system, come up with not only a plan that keeps track of your money, but a plan that keeps track of all your bets. You must know what you have lost and what you have won on a daily basis. Keep track of your ROI (Return on Investment) know if you are making money or loosing money. You just might be surprised to know that when you think you are up, you are really down or just breaking even. You cannot continue to gamble on sports in this manner. In order to break even you must be winning at least 52% of the bets that you place. Why is this? The juice. Sportsbooks charge juice. Remember, organized betting in a sportsbook of any kind, whether it be in Vegas or with an offshore bookie, they charge what is called (vig) or juice. This is the bookies commission. Bookies would not stay in business if the offered every sports bet at even odds, it would make no sense whatsoever for them to be in business. For these very reasons– is the number one reason that you must shop around. Be a wise consumer. Not all online bookies are created equal and some of them will straight rip you off on the juice. Don’t let them do it, have several bookies with money deposited and ready to go. Have them in your hip pocket when you need them. The bottom line for sports gamblers is winning. At the end of the day you want to win, and you want to win big. Having a sportsbook that is worth their salt when it comes to lines and odds will add to your bankroll, and in a huge way. No matter how much or how little you play, find that top sports bookie today and start winning big.